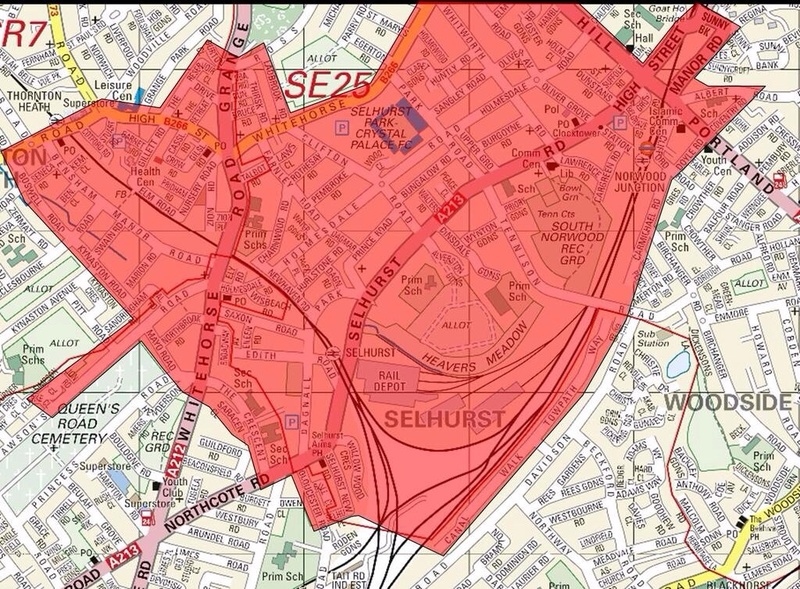 Following on from an announcement that the Metropolitan Police Service will put in place a dispersal zone around Selhurst Park on 23rd September 2015 from 12:00 until 01:00 on 24th September 2015, I’ve had a few queries from fans who are on football banning orders and are Crystal Palace FC Fans or Charlton Athletic FC fans as to whether this applies to them. The answer is that the terms of a fan’s Football Banning Order are the terms which apply and the fan should comply with those terms as they usually do. If the dispersal zone falls into the area from which the fan is banned, then it does apply, but if the fan’s football banning order does not restrict them from part of the dispersal area they are not banned from it. A dispersal zone is not a banned zone. For those interested in looking up the law, it comes from Section 35 of the Anti Social Behaviour, Crime and Policing Act 2014. This allows a police officer in uniform to direct a person in the dispersal zone to leave the zone (or part of it) and not to return for the period of time the dispersal zone is in place, in this case until after 01:00 on 24th September 2015. The police officer should only direct the person to leave it they have grounds to suspect that the behaviour of the person has contributed to or is likely to contribute to members of the public being harassed, alarmed or distressed, or contribute to crime or disorder. The reality of this is that fans who will not be banned from the area unless they are spoken to by a police officer and served with a dispersal notice. Any fans who are given a dispersal notice, and who think they were given the notice unfairly, should keep hold of the written notice they are handed by the police and make contact with me and I will look into whether it was a valid dispersal. However, I anticipate that any fans who are setting off pyro (including bangers) in the streets within the dispersal zone, will be served with a dispersal notice, likewise anyone who appears drunk, or who appears to be goading fans. The mere fact that a fan does not have a ticket for the match does will not be sufficient to justify the issuing of a dispersal notice. Any CPFC or CAFC fans who are on a football banning order and not sure of where they stand in relation to the dispersal zone, such as fans who live or work in the area, should contact me and I can make enquiries with the Metropolitan Police Football Unit on their behalf, but a dispersal zone being in place should not prevent a fan from going to work or college, or from going home.